When you have worked with a client for many years it is always quite challenging to come up with something fresh but that was the brief from Directors Paul and Barbara Greasley. 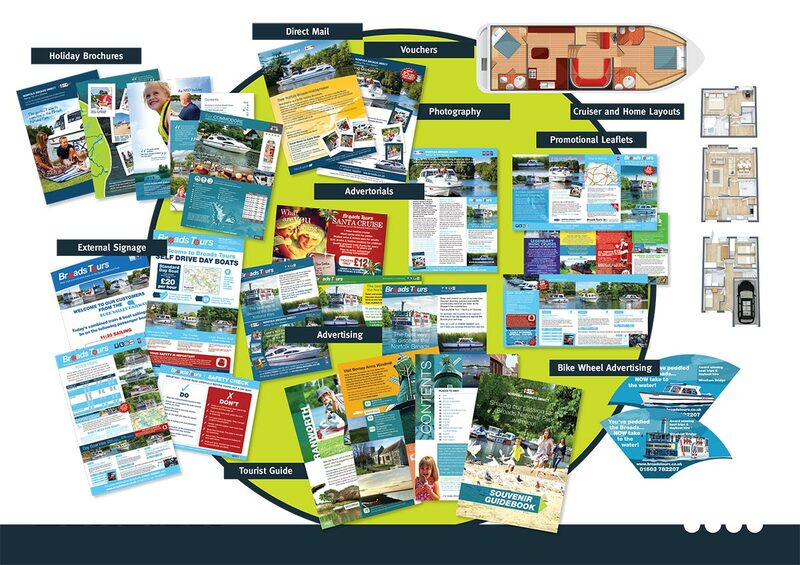 They wanted a brochure that looked different, felt different and performed differently from any of their competitors brochures. 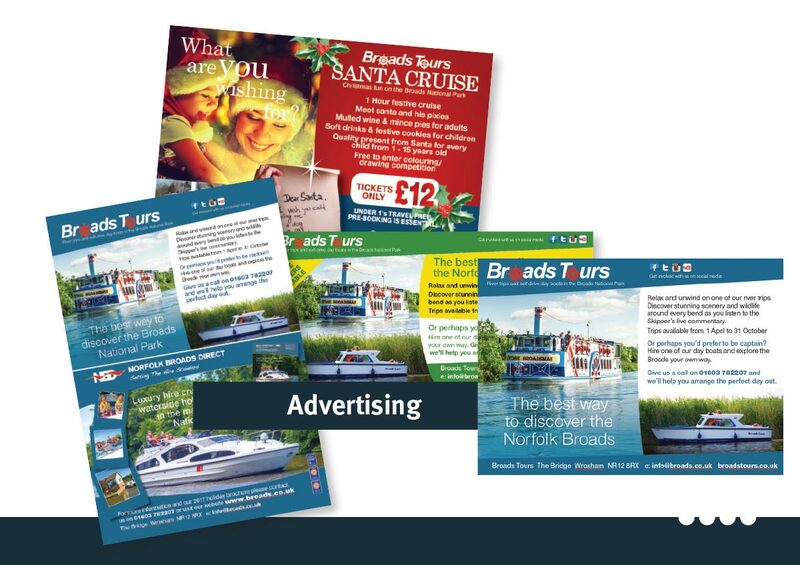 The design took on a new size to differentiate Norfolk Broads Direct brochure from any of their previous years publications. 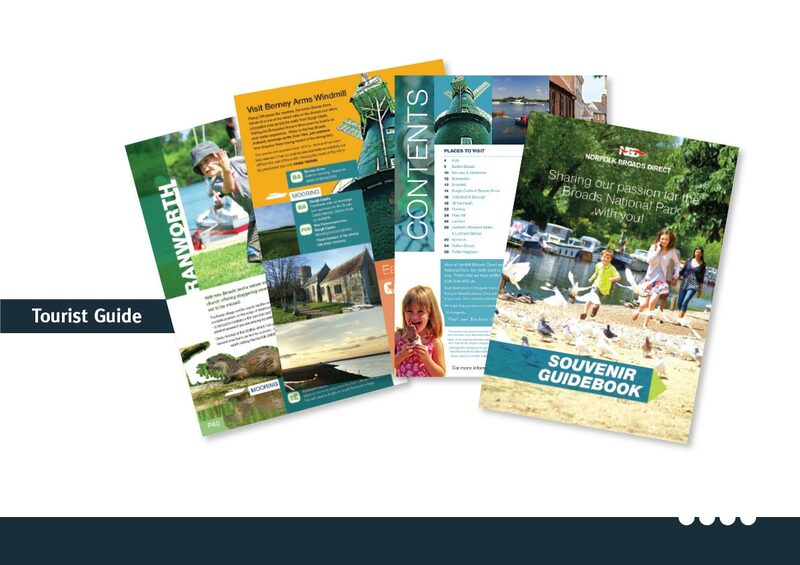 From a functionality perspective, following the successful introduction last year of clickable paper as a trial we have included this again but on many more pages – these include video, links to websites (Norfolk Broads Direct and Broads Tours, but also information websites about the Broads in general). The clickable paper also has 360˚ tours of many of the luxury cruisers. To add to the overall feel we printed on a high quality paper using a soft touch finish to really enhance the end user experience. 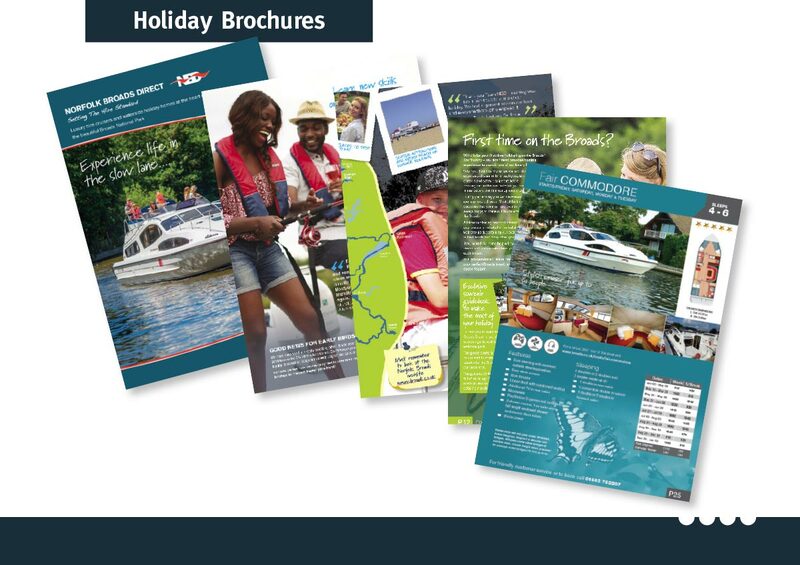 All of this attention to detail, with the Clickable Paper providing a bridge from traditional printed media to digital media, the 2016 Norfolk Broads Direct holiday brochure provides the viewer with so much more information to make a really informed decision on why they should choose Norfolk Broads Direct as their preferred supplier for a high quality holiday on the Broads. With some superb photography from James Robinson Images, the end result was visually striking.